I am ignorant enough to select a suitable candidate. All the intelligent people out there, please select a suitable candidate on behalf of me. One educated fan of YSRCP told me that, from 2000-2004, the rain fall in AP is very less. In his near by village, there was severe water problem. Even drinking water was difficult to get. Every day, one tanker comes to that village, and everyone in that village fights for that water. After YSR became CM, he constructed a pipe from a distant canal/river [Since, there is nothing near by], and constructed two tankers in that village. Since then, that village did not have water problem, and there are no fightings everyday for water. Now, almost entire village votes for YSRCP. It is very easy to say that, the village people take money and vote for corrupted people. But, if I am fighting for something everyday for 4 years, and suddenly if somebody solves that problem, why will I not vote for the person who solved that? Eventhough YSR is very corrupted, but, he has given a lot to the people in innumerable ways. Whether it is Arogyasri, Pensions, 1 kg rice for Rs.2, Fee reimbursement for Engineering students, Lunch for students in primary schools, Free electricity, Loan waivers for farmers and so many others. If a person who is going to die because of some severe disease, and if he is saved due to Arogyasri, will anyone in their family or close relatives would vote for somebody else? Poor people know the value of fee reimbursement for Engineering students or 1 kg rice for Rs.2. I heard from someone who takes child labour in their business that, after YSR started providing free lunch at schools, the children are going to schools, and nobody is coming to work in their business. If my life is at stake, do I worry about India's economy, somebody's corruption, or India-China relationships? I am not supporting YSR. But, I am reminded once again that, before blaming somebody, we should walk in their shoes for sometime. If I am 99.99% sure that I am going to lose (leaving 0.01% for the miracles), and if somebody offers me money for losing, and if I take it, is it corrupt or immoral? In this specific case, most of the outsiders can predict the probability of win/lose better than the players themselves. There is a money exchange in the name of bribe. But, it is not going to create any kind of impact whatsoever. Is it not the prerequisite of bribe, to change things in our favor? If there is absolutely no change, can we still call it as bribe? Is the answer going to change, if I continue to say that, I am going to win and playing for win only? I do not want to tell anyone that, I am going to lose. I have my own personal reasons for not saying that, there is a high probability that I would lose. My plan is to take the money, and when I am playing next time, increase my winning chances from 0.01% to 10% with this money. Media says, "Mr.X has taken a bribe for losing". Till a minute before the media announcement, I was saying, "I am playing to win". Am I corrupt? Whose responsibility is it to check whether the bribe is going to make any difference or not? Except changing from First past the post system to Proportionate system or alternate voting with single transferable vote, there is absolutely no changes required in our election system. Even NOTA (None Of The Above) is also practically of no use. It has only theoretical use. If you are going to choose NOTA, for all the candidates, do you have one strong reason why you do not want them to be your representative? 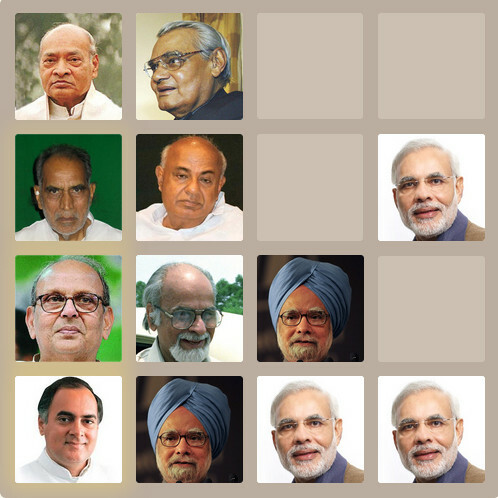 If you can tell one strong reason for everyone of them, then only you can choose NOTA. Otherwise, you should not choose NOTA. It is your responsibility to find about the candidate before you reject. I can bet that, in that case, nobody would choose NOTA. Those who are intelligent enough to find about the characteristics of all the candidates would choose the best among the worst, and they never choose NOTA. When would a political party change their candidates? If it realizes that it cannot win the election with that candidate. Till then, it won't change. NOTA will not change the result. So, irrespective of how many ever votes the NOTA gets, there is no reason for the winning party to change its candidate. Instead of voting for NOTA, if you vote for the best among the worst candidates available, and if majority people vote in the same way, then the best among the worst candidates would win. In that case, since the result is going to be changed, the political parties would try to put better candidate than the other parties. This is the only scenario, where there will be real change in the politics. Anything else will not have any other impact. I have bought few stocks of few companies. Whenever the company wants to take a major decision, it asks all its shareholders to vote on their decision. I also get mails for voting. But, I never exercised till now. Because, I do not know what is good for the company. I want those who have enough knowledge to exercise their vote properly and take the company forward. Since, I do not know anything, I would like to be neutral and I will not participate in the election. If the company says, if I do not vote, then I will lose my dividend, then I will vote for some random option and that may take the company in negative direction. I do not see any difference between an election for a company and an election for the government. If my grand mother does not know the difference between Congress and BJP, I would be more happy, if she does not vote, rather than just voting for a random party that is going to disrupt our country and effect my future. Since, I know the value of my vote and I feel, I have enough knowledge on whom to select, I travel a long distance and vote for the candidate that I prefer. If somebody does not have that knowledge, let them not vote. We should not be forcing anyone to vote. We should be only educating them that, their vote can change their life and only their vote can change their life, and everybody should be voting for the best candidate available (and definitely not NOTA). Once they realize that, automatically we get better representatives.